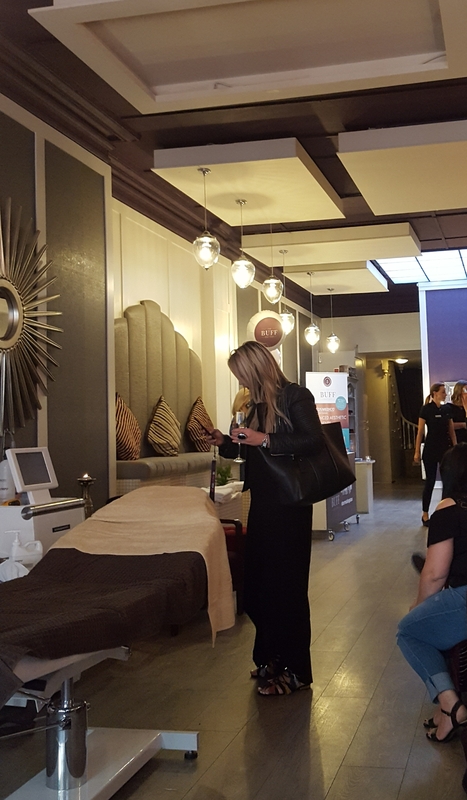 A few weeks back I was invited to an open evening in Buff Day Spa. For any of you who don’t know the Buff Day Spa it is located on King Street, Dublin 2 (not far from Zara 😍). I couldn’t believe how big the spa was! It seemed to go on forever when I was going around on the tour, but my favourite part..the quietness. Considering it is just off Grafton St and on a pretty busy street you couldn’t hear anything. It swas quiet, and relaxing and strangely it felt more relaxing as you know you are so close to crowds of people. Whilst I was there they did a few different treatments. I had a look at laser hair removal being done, something I have always considered so I really wanted to see what it was like. They have a new method of doing it, Super Hair Removal. They also do micro needling and they demonstrated this on the night. Numbing cream is applied and you are left for 20mins for this to take effect. The face was then cleansed and a micro needle roller was used on the face. For anybody squeamish there is some blood… they then used an Image mask on the face for the skin to absorb. The idea of micro needling is that it is a controlled injury, so the skin then tries to repair itself. After the treatment the skin will be red and require a few days to relax and repair itself, makeup is not reccomended. I am not going to lie, I don’t think this is a treatment for me. I met a few girls there who had the treatment before and raved about it and you could see the difference in their skin from it. I am a bit of a chicken and the micro needle roller scares me, but don’t let me put you off it definitely look into if you are interested in it! Buff Day Spa also do other facials and treatments, if your treatment costs more than €50 you can arrive an hour early and use the relaxation room and sauna, go on spoil yourself 😁, I know I will!